Construction works have been going on around the clock. But the new grand Arctic port of Sabetta did not get all ready in time for the President’s visit. In a first travel since his announcement to run for a 4th term as president, Vladimir Putin today set foot on northern tip of the remote Yamal Peninsula. Embraced by the polar night and freezing cold, the head of state cast splendor over the ceremony which marks the launch of the huge Arctic industrial project. 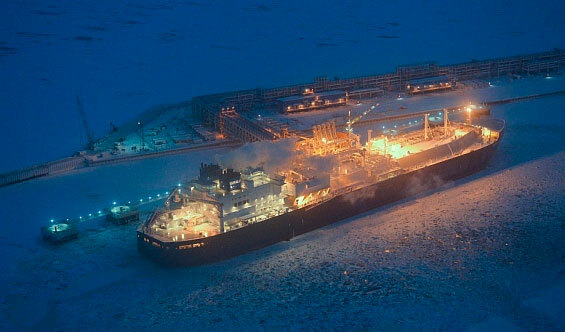 The Arctic is a top priority region for Putin and the Yamal LNG is the main flagship project. «The level which we together have reached will promote a joint and efficient engagement to the benefit of the companies and countries which are taking part,» Putin said, a press release from the regional Yamal-Nenets regional government reads. «It will support a stable level on the international energy market and create favorable conditions for world market development». 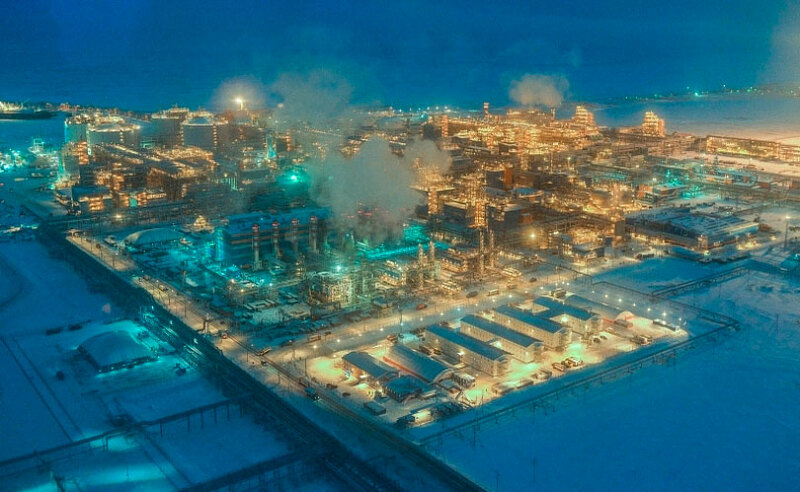 Novatek and its partners in the Yamal LNG have been working days and nights to get the plant ready. Prestige is huge. The project has a price tag of more than $27 billion, a part of it federal money. But not all got ready as planned. The federal government earlier this week decided to extend the construction period of the Sabetta sea port with one year. The great infrastructure object with an annual out-shipment capacity of more than 20 million tons was originally to be completed by the end of the 2017. However, the new deadline has now been postponed till 31 December 2018, Neftegaz reports. Putin’s visit to Sabetta is hosted by Leonid Mikhelson, the leader of Novatek, who already in November 2016 invited the president to attend the first out-shipment of liquified natural gas from site. But not only Putin and Mikhelson attended today’s ceremony. On site was also a big group of other bigshots, among them government representatives and business leaders from China, France and Saudi Arabia, the regional administration informs. The first tanker of a fleet of 15, the «Christophe de Margerie», has been waiting at the project port of Sabetta for more than a month. In August, it showed off its capacity when it without icebreaker assistance shipped a load of LNG from Melkøya, Arctic Norway, along the Northern Sea Route to Japan. The transit shipment along the Arctic route was made in record-short 6,5 days. Annual production capacity of the Yamal LNG will be at least 16,5 million tons of LNG, and the first train with an annual capacity of 5,5 million tons was launched earlier this week. The main partners are French and Chinese and the output will be shipped by out through the Northern Sea Route by the state-of-the-art new LNG carriers to both western and eastern markets.